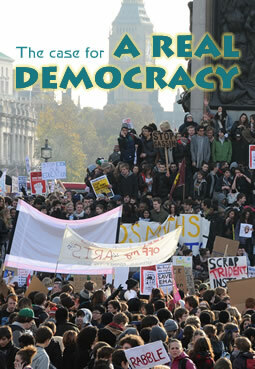 A World to Win’s editorial team has brought together a selection of our blogs on the crisis of democracy and the state, as a contribution to the growing discussion on a way forward. We do not accept that liberal or representative democracy is the last word on the subject. That is why we are supporting the initiative around the Agreement of the People for the 21st century. Borrowing its name from the heroic efforts of the Levellers’ movement, the Agreement project aims to build on past democratic achievements through achieving a new constitution. What kind of political and government system should replace the present one is just as important. Our contribution to this discussion is to present the case for People’s Assemblies as a possible way forward.